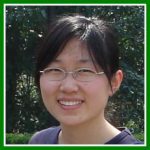 A special Dissertation Defense seminar, presented by Li Zhang (SY He lab). Plants encounter various biotic and abiotic stresses throughout their life cycles. Accordingly, sophisticated defense strategies have been developed by plants to restrict pathogen infection. Among these, the plant hormone jasmonate (JA) bestows upon plants the ability to defend against attacks by a wide variety of herbivores as well as necrotrophic pathogens. Perception of pathogen or herbivore attack promotes synthesis of jasmonoyl-L-isoleucine (JA-Ile), the bioactive form of JA, which binds to the COI1-JAZ receptor, triggering degradation of JAZ repressors and induction of transcriptional reprogramming associated with plant defense. Interestingly, virulent pathogens have evolved various strategies to manipulate JA signaling to facilitate their exploitation of plant hosts. For example, strains of the bacterial pathogen Pseudomonas syringae, produce proteinaceous effectors as well as a JA-mimicking toxin, coronatine (COR), to activate JA signalling and promote disease susceptibility. However, the impressive knowledge of host targets has not been broadly exploited to inhibit pathogen infection. In this study, we show that host target modification could be a promising new approach to “protect” the disease-vulnerable components of plants. Guided by the crystal structure of the JA receptor and evolutionary clues, we succeeded in modifying the JA receptor to allow for sufficient endogenous JA signaling but greatly reduced sensitivity to COR. Transgenic Arabidopsis expressing this modified receptor not only are fertile and maintain a high level of insect defense, but also gain the ability to resist COR-producing pathogens Pseudomonas syringae pv. tomato (Pst) and P. s. pv. maculicola. On the other hand, plants reduce stomatal aperture as an innate immune response to restrict pathogen infection, whereas highly evolved pathogens produce virulence factors, such as coronatine (COR), to counteract stomatal defense. In this study, we have identified two SCORD genes responsible for the increased susceptibility to a COR-deficient mutant of Pst DC3000. SCORD6 is involved in the de novo synthesis of GDP-L-fucose, and SCORD7 belongs to the Trichome Birefringence-Like protein family, of which several members were proposed to be involved in synthesis and/or modification of pectin or O-acetylation of xyloglucan and xylan. Both scord6 and scord7 are defective only in pathogen-/salicylic acid (SA)-mediated stomatal closure but not in abscisic acid (ABA)-mediated stomatal closure, indicating the difference of cell-wall-based regulation in SA- or ABA-mediated stomatal defense. The identification of SCORD6 and SCORD7 genes highlights plant cell-wall-based regulation of stomatal defense and contributes to the general understanding of the multifaceted host defense mechanisms against pathogen infection in plants.